Lloyd Cole, a British musician, seems to have disappeared into America for the last few years, doing occasional shows for his die-hard fans, though no longer on the charts of even the public radio stations. That being said, he’s still very active, and like Jeff Tweedy of Wilco, he’s put out an acoustic set of classic songs with his son Will, created the unexpected Selected Studies Volume One with Hans-Joachim Roedelius, and on his blog, suggests that he has several other ideas rolling around in his head, besides improving his golf game. Standards, must be said with tongue in cheek, because it is hardly a set of standards, and has me questioning why it’s taken so long for this album to be released in the States, as it’s been available in Europe since 2013. With Lloyd older now, he seems to be disenchanted with the recording industry, with this album being financed through the raising of funds through fans, though he has suggested that this may be his last formal album. Having never mentioned the internet before in any of my reviews, an idea that was supposed to bring the world together, I must say that for all it is or isn’t, the internet seems to have torn down the music scene nearly overnight, making the release of an album for a literary artist like Lloyd Cole almost a cottage industry … where an outing like Standards is rather obscure, and nearly impossible for those of us who thrive on physical product to find. Meaning that when we are able to find it, we’re forced to make the purchase from some Record Store Day clown has bought up all the copies, and is making ten times the amount Lloyd Cole made on a single slab of plastic. Even artists like Bob Dylan make their money from their back catalog, and not from his newer material, leaving artists without huge catalogs forced to tour relentlessly in order to make a living and break even. And since mentioning Dylan, it was Bob’s 2012 release of Tempest that inspired Lloyd to create Standards, an album that is [shall we say] less age appropriate, being more electric oriented, and less acoustically quiet as his previous albums have been … featuring a fine lineup, including Fred Maher [who worked with Lou Reed] on drums, Matthew Sweet on bass, Joan Wasser on piano, and several of the members of this old band The Commotions. 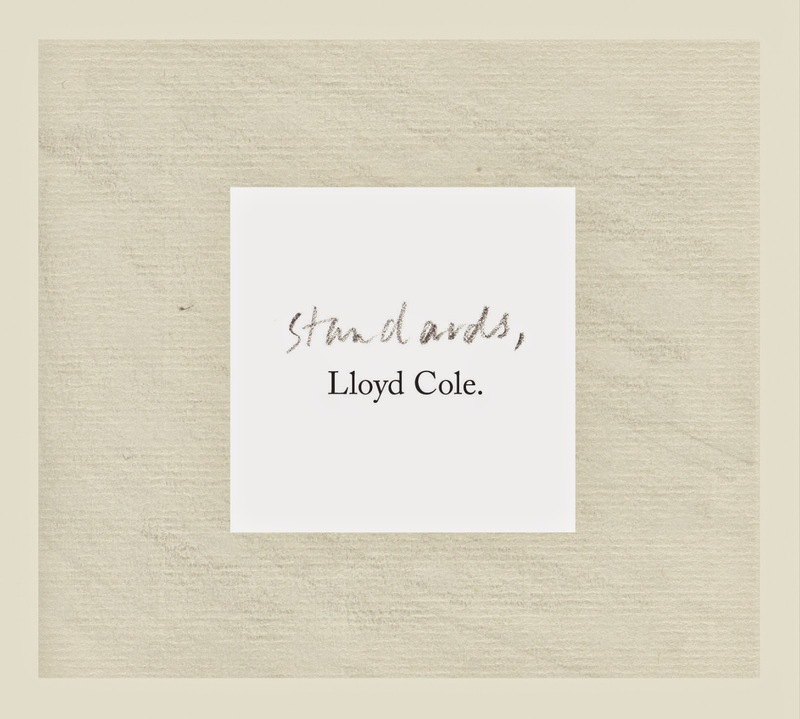 Many of the songs are delightfully just what you’d expect and hoped for, while others are out of the box, though all are very literary, filled with stories, insights, and a bit of the cleverness that has always been Lloyd Cole’s mainstay. Trust me, if you’ve forgotten about Lloyd Cole and The Commotions over the years, Standards will flashback the memories, and instantly create new ones.